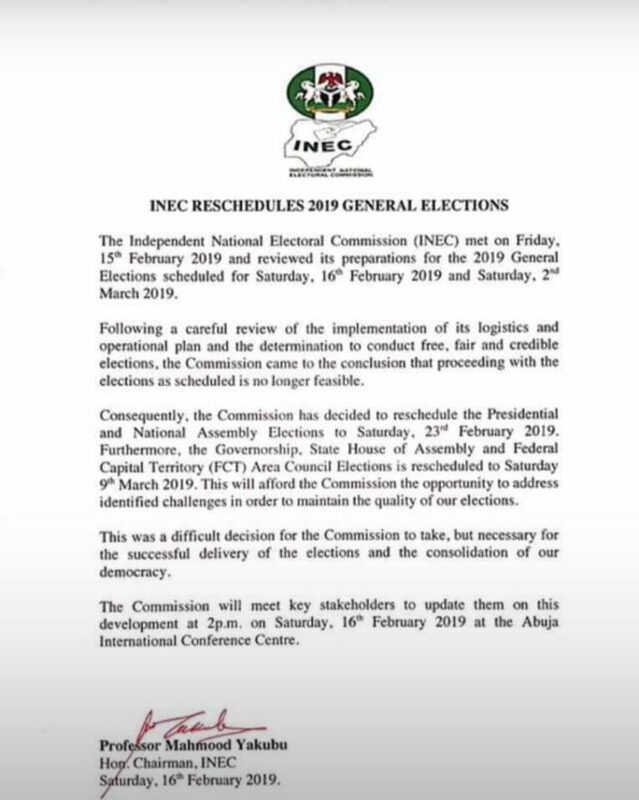 LAGOS – The Independent National Electoral Commission (INEC) met on February 15 and postponed the 2019 elections that was scheduled for February 16. According to Professor Mahmood Yakubu, the INEC chairman, Nigeria will not be deciding its next president Saturday as previously planned. He added that the elections could not possibly have progressed as scheduled given anticipated shortages of voting materials, especially ballot papers, in some states. 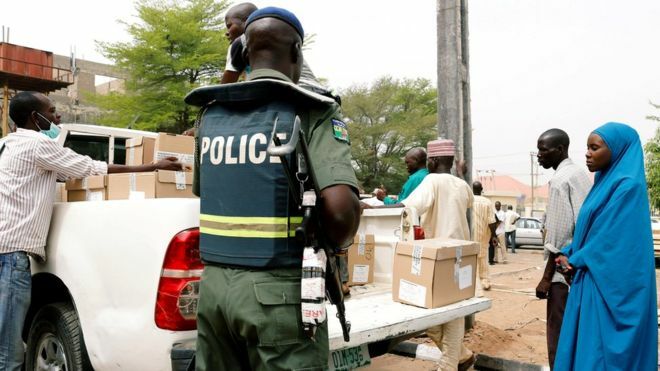 The presidential and national assembly elections will now be held a week later on February 23 and the governorship, state house of assembly and federal territory (FCT) Area council elections to March 9. There are more than 70 candidates overall contesting to lead Africa’s largest democracy which has 84 million registered voters. However, there has been tense campaigning by the two leading candidates incumbent president Muhammadu Buhari of the ruling All Progressives Congress (APC) and Atiku Abubakar of the opposition People’s Democratic Party (PDP).